More information from website and not only. 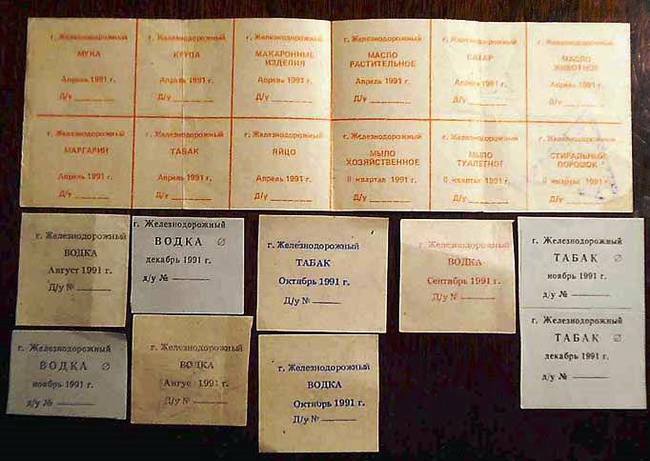 October 17, 2018 (plus or minus, since it is impossible to say exactly to the day how long it takes to register a company in the chosen jurisdiction), we will be ready to acquire the first objects, by the moment already selected by our analysts and put on vote by the Co-founders as a result of which the first objects for purchase will be determined. ICO has been successfully completed! Interesting this is a good project, hope everyone likes it. Good luck to you! Very impressive presentation and innovative coin! I will definitively watch this one, good luck with the ICO. Glad to see the Factom Project progress! Also nice to see collaboration with other personalities in the space to advise on a well written whitepaper! Brilliant idea and really well-presented. Kudos to you Synechist for handling this so efficiently! ICO starts in 5 days! Only 3 days until ICO starts! Only within ICO you can get all privilegies like a Team member! 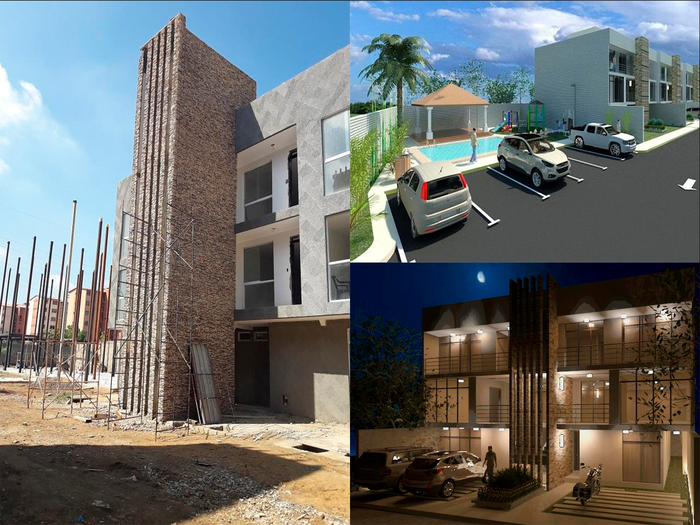 In order to better understand what's what and what the advantages of the proposed project are, we bring a very recent study of the Venezuelan real estate market, in particular - the construction of townhouses. Like in all countries, Venezuela is building real estate, even despite the raging crisis. Consider what is built and how much it costs. Note: on average, these objects were placed on sale a month ago (with a black exchange rate of 3.4-3.5 million bolivars for 1 USD), so these price tags should be divided into such a rate, rather than the current 4.1-5 million bolivars per dollar (in the reality of the bolivar's approach to the dollar can be seen here). Here's what I found in a half-hour of learning a site with ads. 9,800,000,000 Bolivars. On 70 m2 in the kit includes 2 bedrooms (in Venezuela 2 bedrooms this does not mean "kopeck piece", in fact it is an analogue of our three-room apartment, since the common living room is not taken into account), 2 bathrooms, 1 parking space. 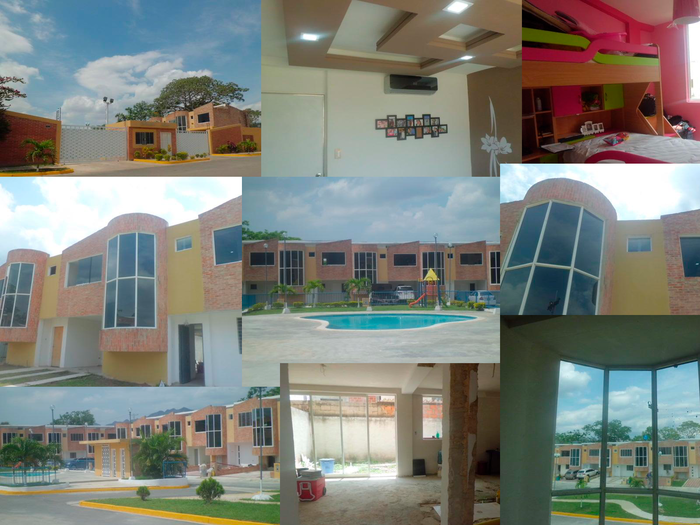 By the way, the concept of a "Venezuelan townhouse", apparently, includes in addition to the protected area, and a common pool and a sports ground, which in our region often only have to dream (not to mention the difference in price). 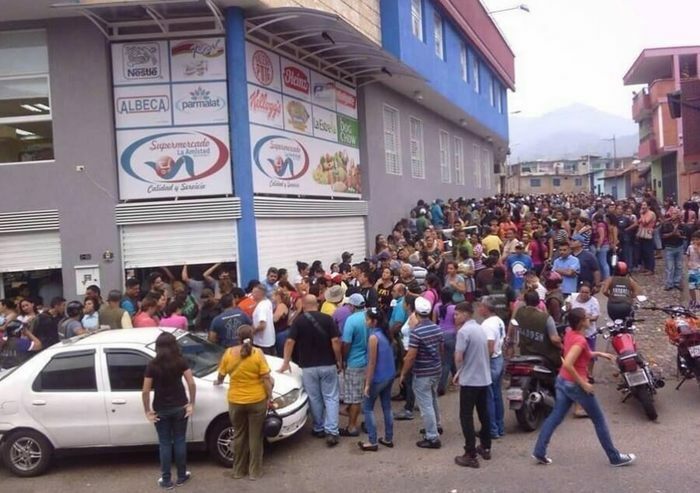 Let me remind you that in the discord we gather a squad of those who believe that in the Russian 90s they missed their chance to participate in the big sale and want to participate in the "Venezuelan 90s" right now. We already have 78 people who want to join - write to me on Yandex-mail (before the dog is the same as here in the login). Object number 3: PUEBLO DE SAN DIEGO, Pueblo de San Diego, Municipality of San Diego (almost completed townhouse already with neighbors). Translation of the text of the advertisement: Beautiful, comfortable, spacious and cozy townhouse, 119 M2, two floors, located in San Diego, Belmonti Villas, Via la Cumaca. On the ground floor there is a living room, a dining room, a kitchen, a patio and a laundry, has two (2) parking spaces. On the top floor, one (1) main room with wall and ceiling finishings has been reconstructed, a bathroom with reconstructed wooden furniture and porcelain floor, two (2) auxiliary rooms with porcelain floor and one (1) auxiliary bathroom. 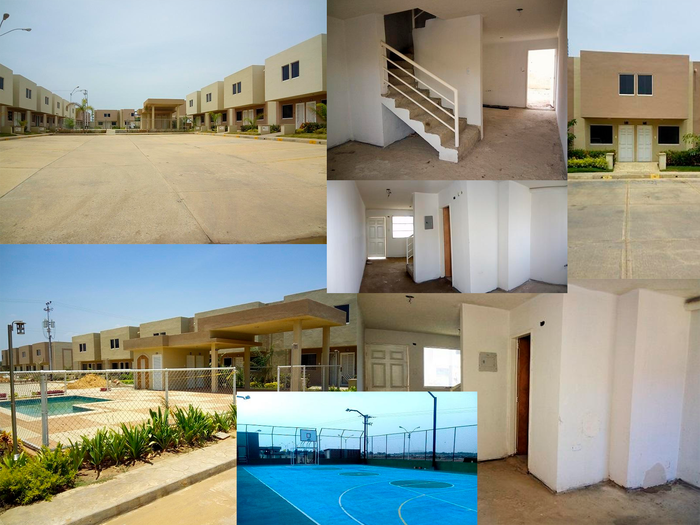 The residential complex has green areas, swimming pool, park, power station, underground reservoir, private security. And this is not all the objects that I liked, if you want and time, you can dig up dozens of similar ones with approximately equal prices. Very smart project, i like it alot. Will study more carefully and decide if i will invest. Looks very promising tho! 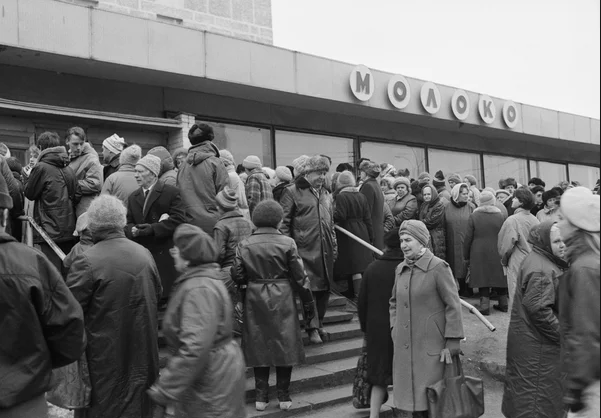 Apparently, Venezuela and Russia at the end of the last century have much more in common today than one could imagine. And all these similarities allow us to assume with a high degree of probability that further events will develop according to a similar scenario. Moreover, given the experience in solving problems after the oil crisis of the 1980s, modern technologies and foreign experience, Venezuela has every chance to accelerate its way to normalization of the situation, having passed it much faster than our country. In the post "Venezuelan real estate market" I gave a couple of examples of property prices in Caracas (the capital of Venezuela) now (after several years of severe crisis). 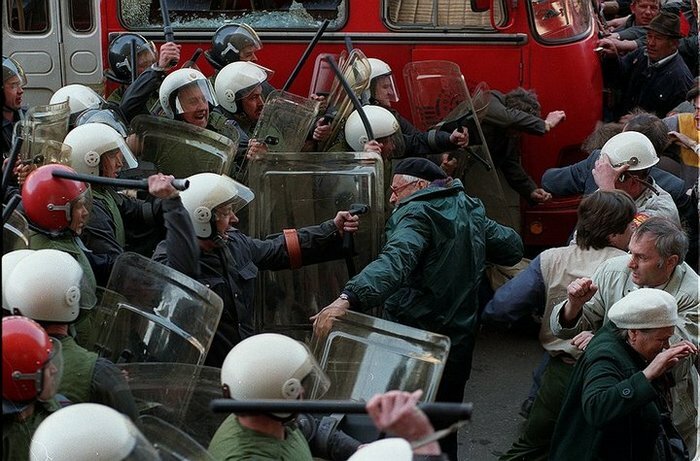 It is time to draw parallels with real estate in Russia in the 90s and the situation with it for today. In the 90 years I was a schoolboy and the sphere of my interests was on the sidelines of the unfolding "holiday of life". But the mother realtor (in those days and even later it was the most common profession after the first and second oldest) often at home was discussing current affairs and one of the price tags for an apartment that I remembered at the turn of the millennium (not exactly the 90's already, but almost , and even in 2000, as will be seen - apartments in the city on the Neva were worth a mere penny, especially when compared with today's realities) was ... 14,000 dollars for a three-room apartment in the center of Leningrad-Petersburg. I do not have details about its location, type of house, floor and condition, but this is not particularly important now. 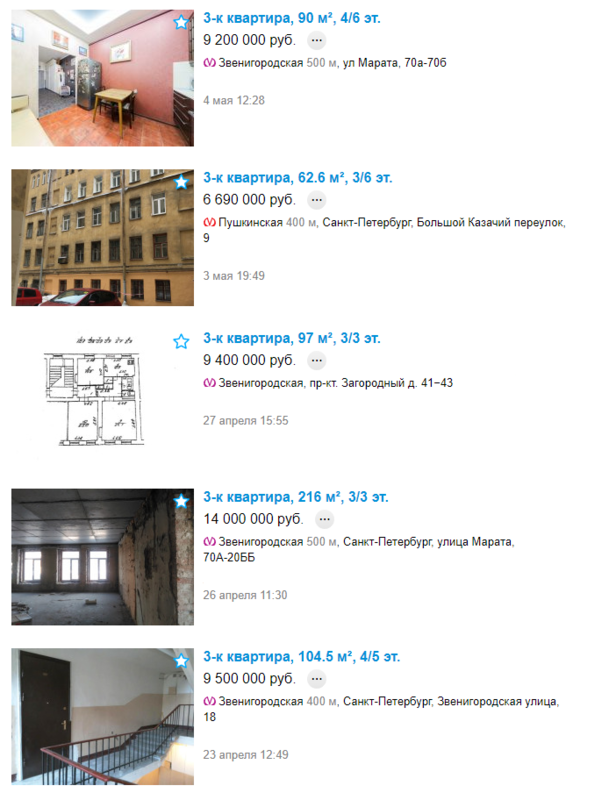 I went to the most popular Russian site with ads, drove in the search for the above data (three-room apartment, Pushkinskaya metro) and gave a screenshot of the first page of results, selecting not the most major photos. 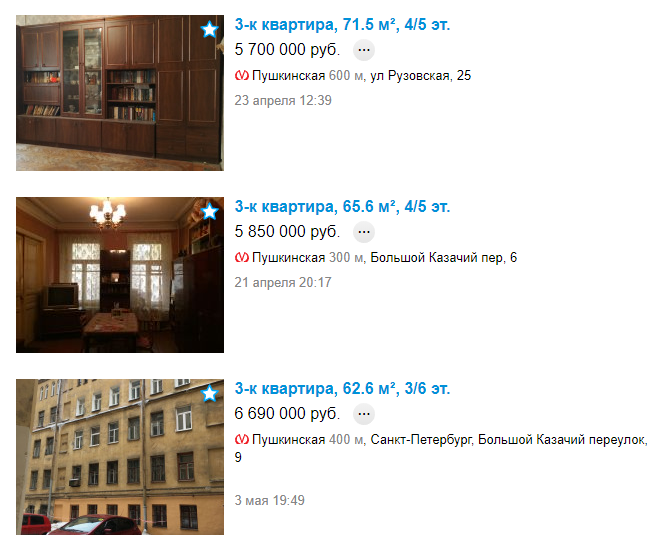 As you can see, the cheapest option from the randomly offered in a long-unrepaired house is six and a half million rubles (approximately 110,000 USD). 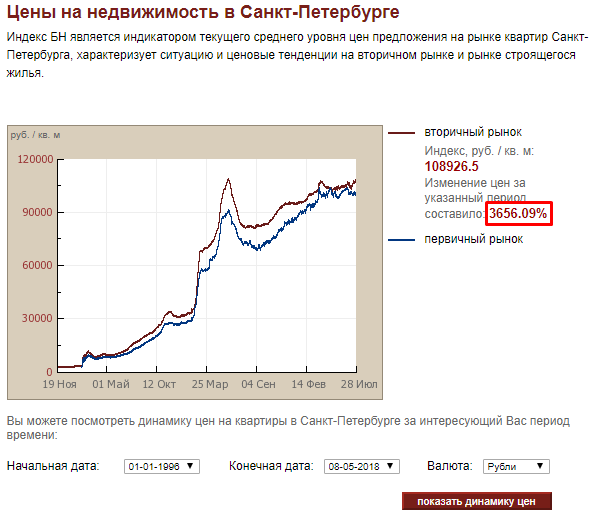 That is, in this area, the minimum price tag for an apartment is now 5.7 million rubles (about 95,000 dollars at the current rate). Thus, the growth even by 2000 was almost 7 times (700% of profit). 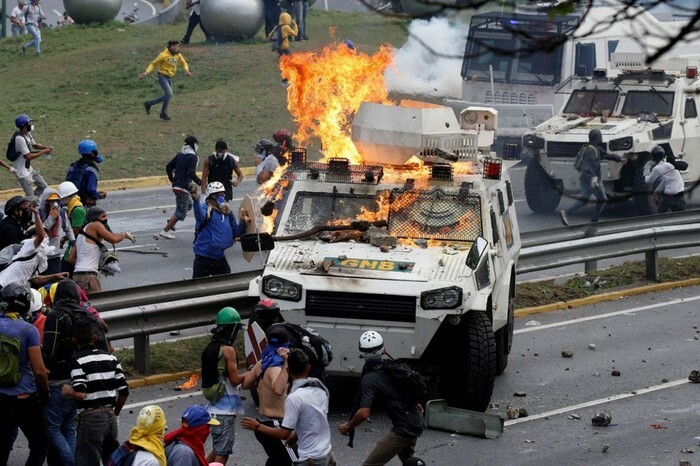 You can, of course, argue that Venezuela is not Russia, or ignore the figures. 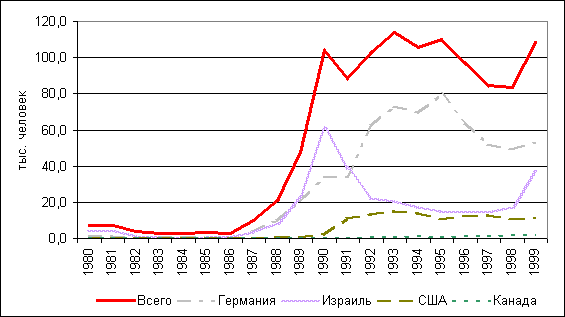 But the fact that Venezuela is very similar to Russia in the 90's, I will show an object comparison in the next post.